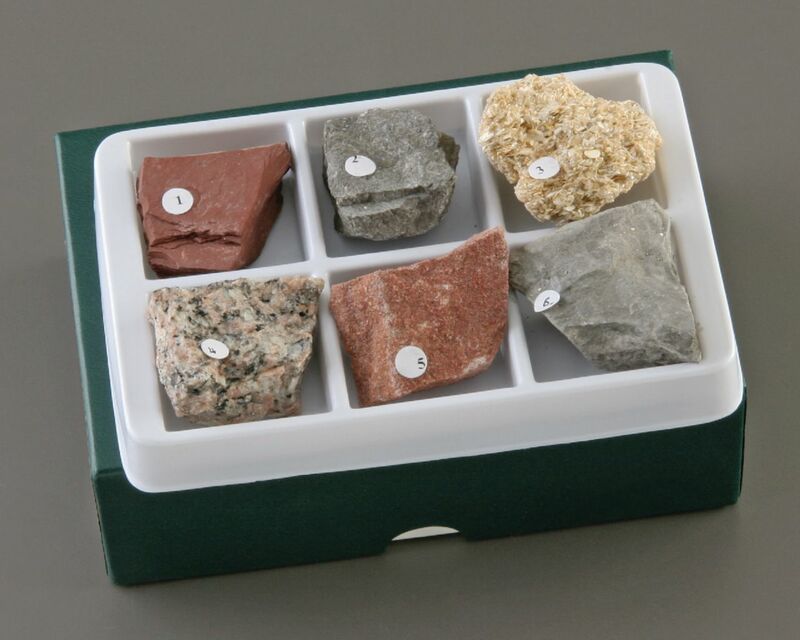 An introductory rock set contains six samples from each of the three major rock types. The numbered samples include: granite, sandstone, limestone, shale, marble, and slate ina compartmented collection box with key list. Size of each: 1" x 1"
Note: Collections are subject to change depending on availability of individual items.